Puerto Rico now has 1,700 confirmed cases of Zika, almost 200 of which are in pregnant women. The warm-weather U.S. territory is in the midst of an epidemic of the mosquito-borne illness. The numbers don’t take into account that 80 per cent of infections are without symptoms, a fact that suggests that the actual number of cases is at least five times higher. Evaluations of blood banks in the island has found that more than one per cent of all units donated carry evidence of the Zika virus. Although 750 cases has been identified in the continental U.S. and Hawaii, all appear related to travel in the epidemic zone. More than 200 pregnant women are being monitored for signs of fetal damage. The CDC has yet to find a case that they are confident was locally transmitted. They consider the risks of a U.S. epidemic to be very low. The CDC is counting a range of abnormalities in its study on the effect of the virus. 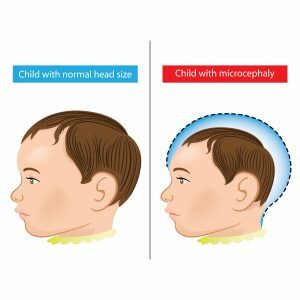 Chief among them is microcephaly, where the baby’s skull fails to grow normally, probably as a result of defects in brain development. Also seen are calcium deposits, excess fluid in the brain, and abnormal eye development. It is thought that 1-15 per cent of Zika-infected newborns will come out with some type of problem. In an effort to increase preparedness levels, the CDC has assembled teams of experts that it will send to various high-risk states, especially when the first expected local cases are found. Also, the teams plan to assist efforts to control mosquito populations in the affected areas. Lab tests for Zika virus, previously available only through state labs, are now available in various commercial labs, such as Quest Diagnostics and Labcorp. 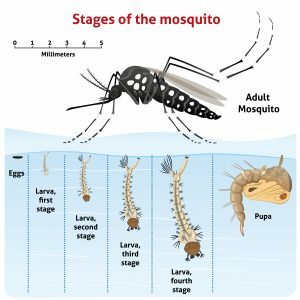 The Zika virus, along with the often-more serious Dengue fever virus, is spread by Aedes mosquitoes. Both Aedes Aegypti and its cousin, the Asian Tiger Mosquito, Aedes Albopictus, are thought to be able to spread the virus. These mosquitoes have now been identified in 44 states, up from 12 in previous surveys. The same mosquitoes are known to transmit Yellow Fever and the West Nile virus. In the meantime, the World Health Organization has closed ranks with the International Olympic Committee in saying that it considers Zika a low risk for causing problems in the upcoming Summer Games. 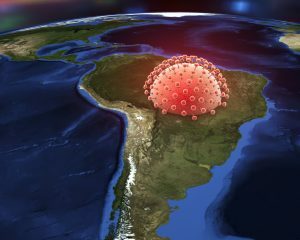 Previously, it had sounded alarms regarding Rio de Janeiro, the host city. Rio has the second highest number of Zika cases in Brazil. The Games start August 5th. More than 250 medical professional of all stripes, including myself, have signed a petition recommending cancellation or transfer of the Summer Olympics to another venue. At present, this forms a minority opinion, although many countries are warning against travel to the Zika epidemic zone, especially for women who are pregnant or considering pregnancy and their partners. Canadian professor Amir Attaran of the University of Ottawa was invited to sit in on WHO’s Zika hearings, but the invitation was then rescinded when he refused to sign a confidentiality agreement. As if Brazil wasn’t having enough problems with Zika virus, the acting governor of Rio de Janeiro state has declared a state of “financial disaster”. Governor Francisco Dornelles announced the measure to allow Rio to adopt extraordinary measures to pay mounting costs related to the Summer Olympics. Brazil is in the midst of a major economic recession. 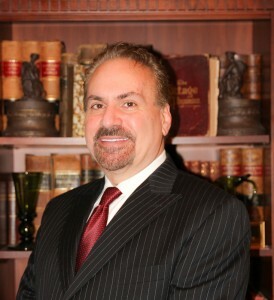 Dornelles’ spokesman said that the decision was made because of lower-than-expected revenues from taxes and oil royalties. He said: “The financial crisis has brought several difficulties in essential public services and it could cause the total collapse of public security, health care, education, urban mobility and environmental management,”. Rio’s situation is so bad that two of its hospitals were taken over by the government to pay medical personnel. Some police stations are so strapped for funds that they have asked for donations of basic items like toilet paper. Public workers and retirees have suffered months-long delays in receiving their money. Major Olympic projects, like the metro line being built to carry tourists to venues, are well behind schedule. So, ask yourself this question: Is it worth it to have half a million tourists from 180 countries travel to the epicenter of a major epidemic for a sports event? 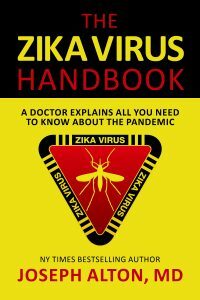 Hey, find out everything you need to know about Zika Virus with Dr. Alton’s new book: The Zika Virus Handbook.